Wolfie, care to weigh in? I mean, it’s no secret that Mozart and I have had our differences, but I see his point. Boys, I hope you aren’t feeling left out — I know an alarming number of music gifts I’ve featured thus far have been girl-oriented, provided of course that you aren’t a cross-dresser, in which case you probably feel fine. But just in case, here’s something you can put on YOUR wishlist or wrap up for your best Y-chromosomed friend. Because dudes, this is the best shirt of all time. OF ALL TIME!!! Awww, I kid. 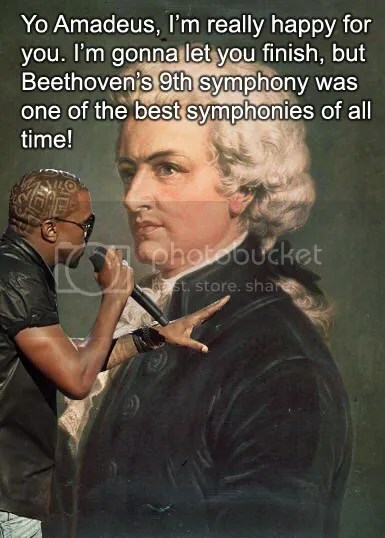 Everyone knows I have a soft spot for Kanye ever since a two-dimensional parody of him insulted Mozart in favor of Beethoven (that’s right; my affection is illogically transferable). 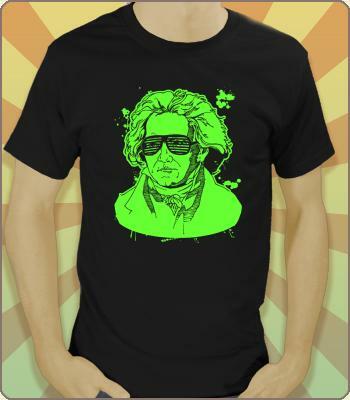 Plus they call it the “Bach to the Future” t-shirt and everyone knows how I feel about a good pun (everyone knows a lot about me). Bonus: this sucker is only $6. Or $50 if you order ten — buy one for your whole orchestra! Or I don’t know, maybe $6 is a little out of your price range. 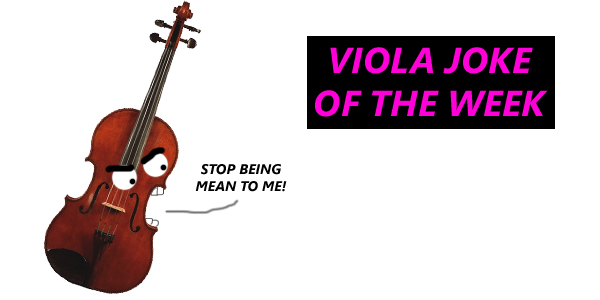 How about $4.95 for a full twenty Yuri the Angry Viola stickers? That’s twenty presents right there! Shopping list = done. My God, guys, Kanye is RIGHT! Awww. I just can’t stay mad at a man who loves Beethoven. Related anecdote: I saw the original Kanye-vs-Taylor throwdown live on account of because I was hanging with my friend Tarik, who watches pretty much ALL the awards shows. Tarik happens to be African-American. When Kanye busted onto the stage and made his little speech, Tarik stood, threw the remote control onto the couch, said “We don’t claim him,” and walked out of the room with his hands in the air. 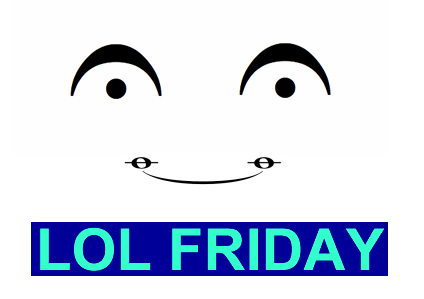 Gilded comedy gold! No, I mean the group has a clever title. If “A clever title” is also a clever title for the post, then what we have here is exponential cleverness, and we must tread carefully. Has anyone heard any really good street musicians lately?